Sometimes a book starts out and you find yourself annoyed and wondering if you should read on. That happened to me with this one and I am SO extremely glad that I did read on! Cause it got so much better after the first couple of chapters! Don't let yourself be put off by them if you find yourself annoyed like I was, because Secrets of an Accidental Duchess turned out to be a lovely story! You see, even though I have been known to LOVE historical romance that have two people fall in love over a short period of time (sometimes it's only a couple of days), it's also a bit weird. Cause you can't know someone well enough to love them in 2 days. That's not love, that's a crush, one that can easily turn into love, but it can't happen the first time you lay eyes on someone. 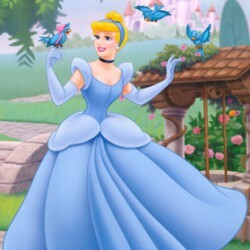 And Secrets of an Accidental Duchess didn't have this at all! I LOVED the fact that Max and Olivia are allowed to fall in love over an extended period and that they don't actually start their relationship off by physical contact but spend some serious time together. LOVED IT! It made my romantic little heart very happy! The overprotectiveness of Olivia's sisters and their husbands was a bit annoying at times, but yeah, I kinda got over that because the romance was lovely. There's also a crazy evil guy in this story and even though I thought he could have been developed a bit better (he's pretty cartoonish and I actually thought he might pull out a cat and start petting it while going MUAHAHAHAHA and doing the pinky thing) (you guys do know Dr. Evil from Austin Powers right?) he did give the story something more than it just being a lovestory and I loved the friendship between one of Olivia's sisters and the wife of said evil loony. 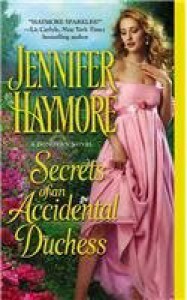 I really liked Secrets of an Accidental Duchess and I've already added the other 2 books in the series to my to-read list, the excerpts at the end of this one were SO interesting I just have to get my hands on the other two!